This spooky ghost mason jar was made to be a hit at your Halloween party! 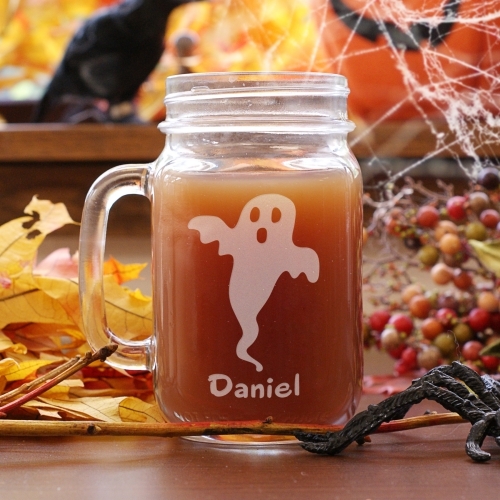 Personalized with any name, this Halloween mason jar becomes a favorite drinking glass for anyone in the family. Perfect for serving iced tea, water, soda and more.